The knot is so named because its two long, trailing ends resembled the reins of a four-horse carriage. 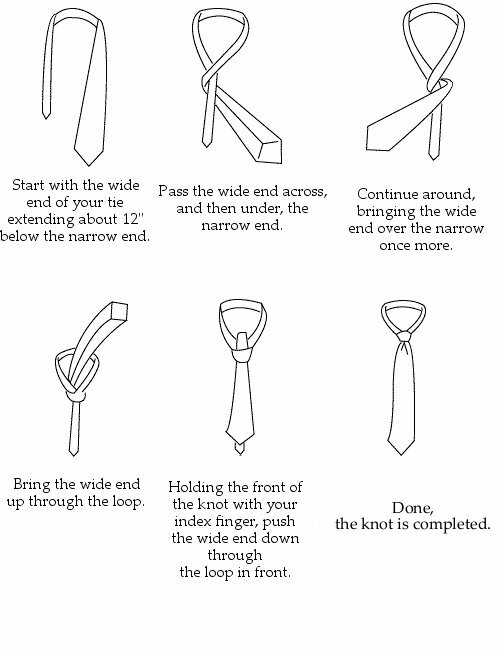 The instructions for tying a four-in-hand knot are shown below. We assume that you are right-handed in the following instructions. The figures below are mirror images. They are what you will see if you stand in front of a mirror.